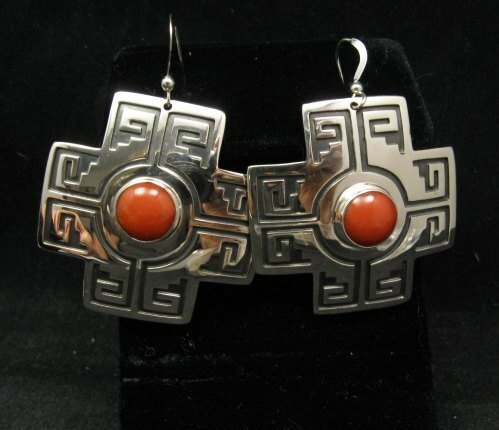 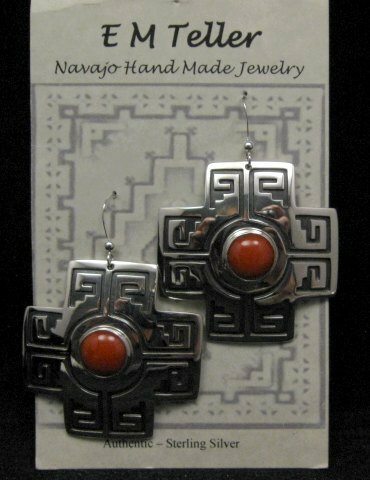 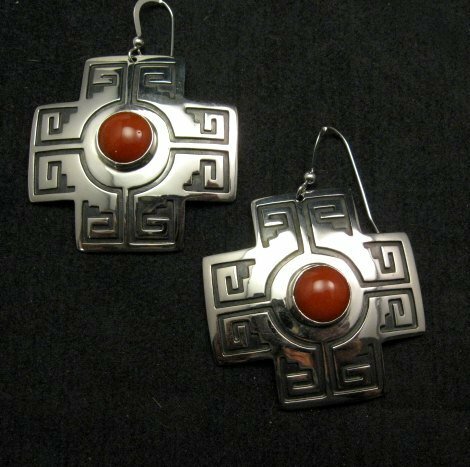 These Sant Fe style cross earrings feature Everett & Mary Teller's storm pattern silver overlay design and natural Mediterranean red coral. 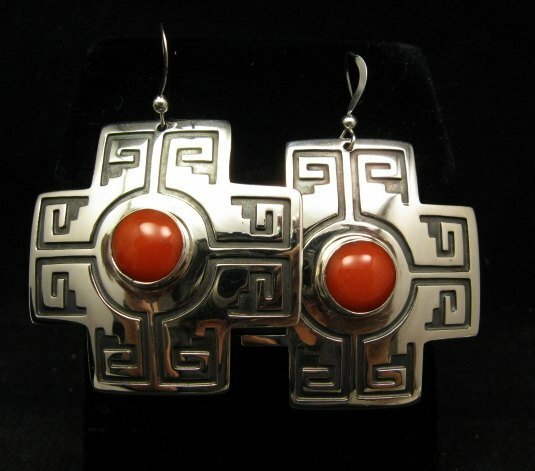 The storm pattern overlay design is clean, bold & crisp. 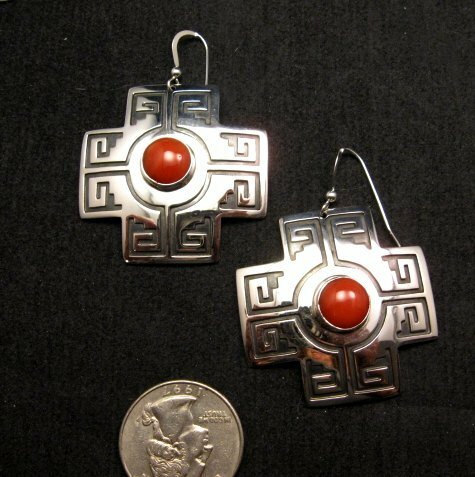 The earrings measure 1-1/2 inch by 1-1/2 inch and they weigh 10 grams each.